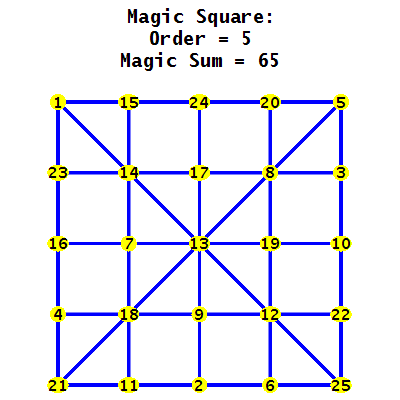 For the Magic Square, the numbers on each horizontal and vertical line, along with the numbers on each of the two diagonals, add up to 65. Draw(), to provide a visualization (like the ones above). 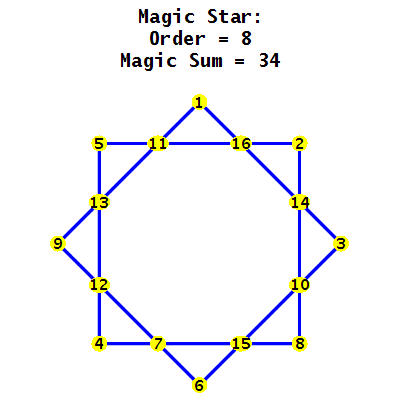 There is also a command, MagicSolve(), which is used to find solutions, which take the form of permutations of [1,...n] for some positive integer n, to the equations. Essentially, it solves the linear equations, and cycles through all permutations for the free variables, and selects those that give "magic" solutions. Known algorithms for finding particular solutions. There are many examples in the help pages. I think others will find this package interesting and useful, and I encourage you to check it out.